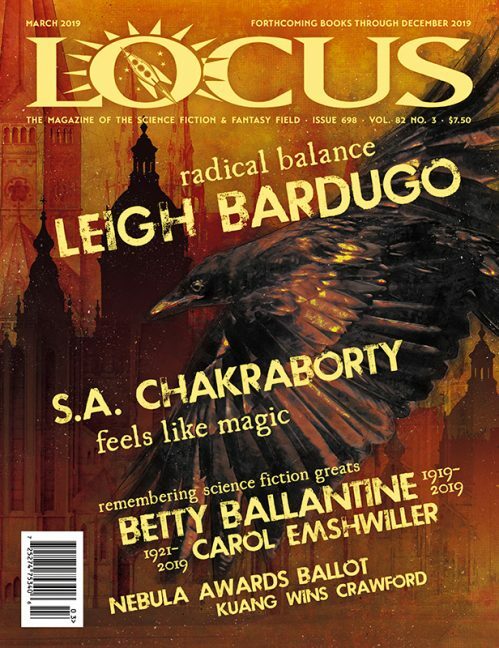 • Issue 80 has Rose Lemberg’s Held Close in Syllables of Light and Dean Wells’ To the Gods of Time and Engines, a Gift, plus a podcast of Kristina C. Mottla’s The Magick. • Anniversary Issue 79 had twice the usual number of stories: ;The Tiger’s Turn by Richard Parks, The Calendar of Saints by Kat Howard, A Spoonful of Salt by Nicole M. Taylor, and The Judge’s Right Hand by J.S. Bangs. • The audio fiction podcast is of Garth Upshaw’s Butterfly. • The most recent stories posted on this site are by John M Shade, Henry Szabranski, Jamie Lee Moyer, Alex Shvartsman, Will McIntosh, and S.A. Rudeck. • Stories are distributed by email on weekdays, and posted the site one week later. 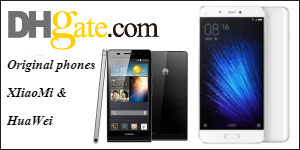 The news page has press releases listing each month’s complete stories. • Planned for November are stories by Christopher Kastensmidt, Eric James Stone, Ken Liu, Jay Caselberg, and others. • This issue, subtitled “Apocalypse Soon”, has poetry by Elissa Malcohn, Wade German, Denny Marshall, Marge Simon, Marsheila Rockwell, Kurt Newton, Ann K. Schwader, Steve Sneyd, James S. Dorr, assu, Elizabeth Barrette, and Kurt MacPhearson. • The magazine’s webpage http://dreamsandnightmares.interstellardustmites.com/ has a photo of editor David C. Kopaska-Merkel, plus a bibliography, gallery, and ordering information. • Recent fiction posts are Absolute Zero by Nadia Bulkin, Unnatural Disaster by Kristine Kathryn Rusch, and The Invisibles by Charles de Lint. • Nonfiction is by Genevieve Valentine, plus an interview with Kristine Kathryn Rusch by Wendy N. Wagner. 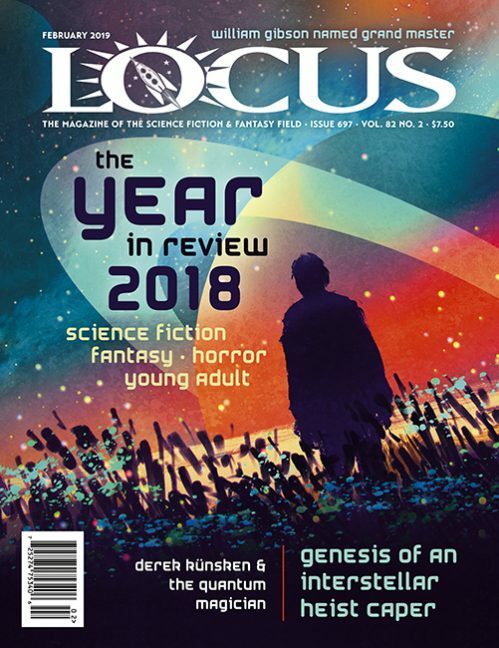 • October 3rd: Posted so far this month is a story by Tim Pratt, The Secret Beach, an interview with Richard K. Morgan, and spotlights of Pratt and cover article Bram Leech. • Posted in recent weeks are stories by Justina Robson, The Little Bear, David Farland, Against Eternity, and Cassandra Clare, Some Fortunate Future Day. • Recent nonfiction is by Pamela L. Gay and Jeff Hecht, plus an interview with Beth Revis by Gwenda Bond. • October 3rd: Posts so far this month include fiction by Adam-Troy Castro, Her Husband’s Hands, and nonfiction by Lauren Davis, The Care and Feeding of Your Disembodied Lungs.There are also spotlights on Castro and the cover artists. 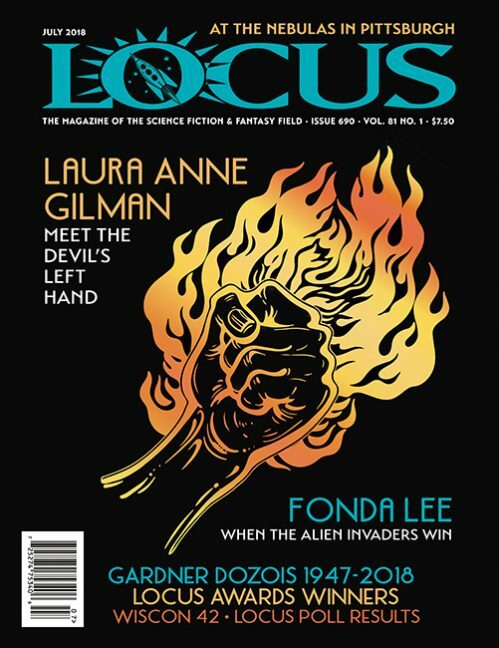 • This issue includes graphic stories by Richard Calder (Episode 7 of “Dead Girls”), Paul L Mathews, Ricky-Marcel Pitcher, and Lavie Tidhar, and prose stories with illustrations by Sarah Peploe, Anita Siraki, Jeremy Ryan, Clark Nida, Kaolin Imago Fire, JC Geiger, Ian Moore, David Loel, and Chris Lewis Carter. • There’s also an interview with Martin Baines. 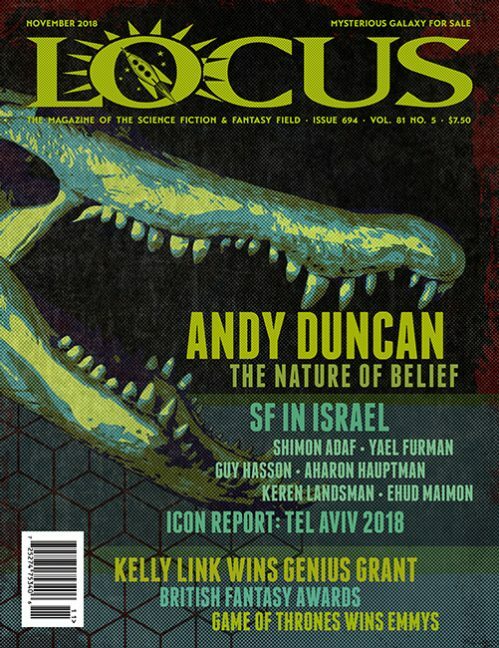 • Fiction in this issue is by Steve Stanton, Ryan M. Williams, Allan Weiss, Michael R. Fletcher, Priya Sharma, Chadwick Ginther, and Geoffrey W. Cole. There also poetry by A.E. Weber and Eryn Hiscock. 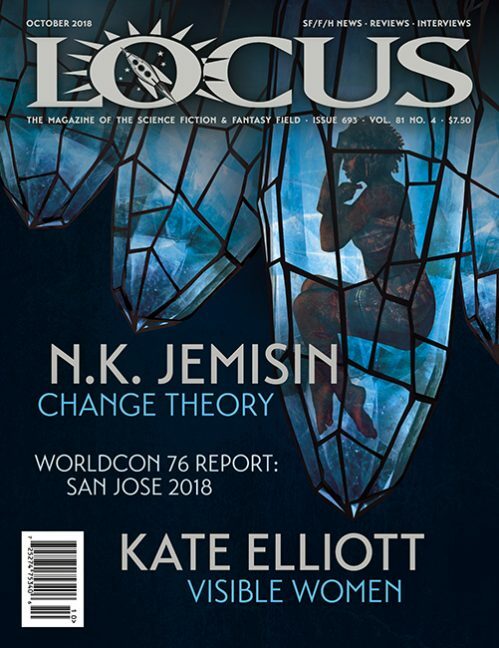 • Nonfiction includes an editorial by Diane Walton, a guest editorial by Hiromi Goto, interviews with Steve Stanton and Dan O’Driscoll, and a tribute by Joanna Russ by Candas Jane Dorsey. • The magazine’s website is not yet updated for this issue. 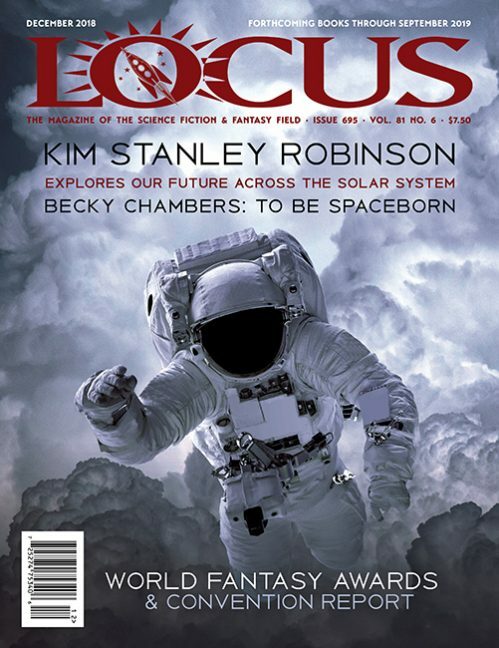 • This issue has fiction by Rochita Loenen-Ruiz, Scott William Carter, Jerry Oltion, Betsy James, and Nick DiChario. 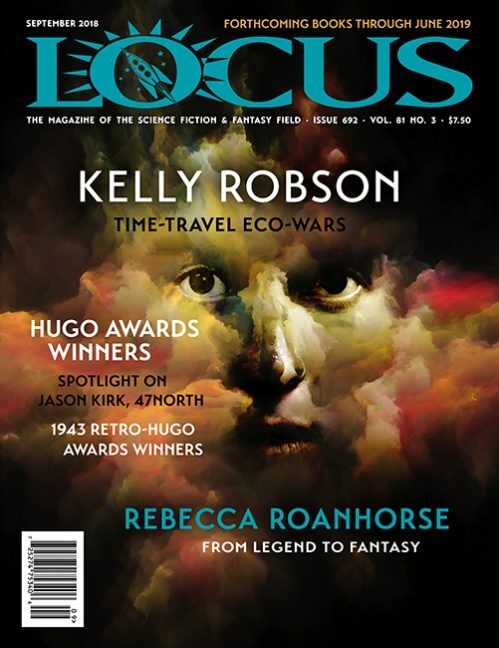 • Columns includes Resa Nelson on movies, Karen Haber’s Artists Gallery presenting Ruth Sanderson, a “Folkroots” column by Theodora Goss concerning Narnia, and a special feature by Elizabeth Bear on urban fantasy. • Book reviews are by Paul Witcover, Elizabeth Bear, Michael M Jones, and Andrew Wheeler. • The lead review, by Michael M Jones, of is Robert J. Sawyer’s WWW: Wonder. • Other reviews include Dominic Cilli on George R.R. Martin, Seamus Sweeney on Stephen Dedman, and Jason Erik Lundberg on Darin Bradley. 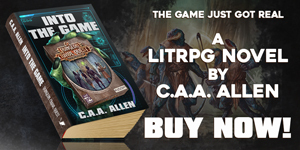 • There are columns on new arrivals by Neil Walsh and graphic novels by Rick Klaw and Mark London Williams, plus audiobook and magazine reviews. • This issue has poetry by Marina Lee Stable, Robert Borski, G.O. Clark, Ann K. Schwader, Scott E. Green, Yunsheng Jiang, Mary A. Turzillo, and many others. 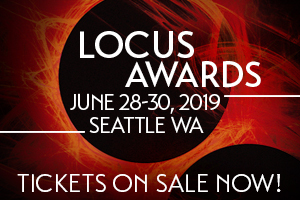 • Features include a short editorial by Marge Simon, a President’s Message by David C. Kopaska-Merkel, a new “Stealth SF” column by Denise Dumars, small press reviews, and an essay by John Amen, “The Fountainhead of Horror”. • Fiction posted since October 3rd includes The Fourth Board by D J Muir, and Librarians in the Branch Library of Babel by Shaenon K. Garrity. There’s also poetry by G.O. Clark, David C. Kopaska-Merkel, and Jeannine Hall Gailey. • Nonfiction include columns by Vandana Singh and Genevieve Valentine, and an article on John Carpenter by Orrin Grey. 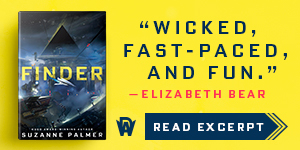 Reviews cover titles by Jesse Bullington, Neal Stephenson, Colson Whitehead, Margaret Atwood, and others. • October 3rd posts include fiction by David J. Schwartz, Destiny, with a Blackberry Sauce, poetry by Gemma Files, and reviews by Victoria Hoyle, Paul Kincaid, and T.S. Miller. 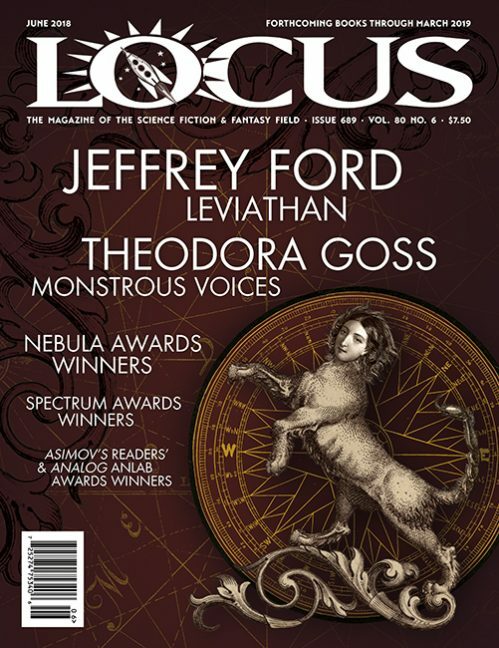 • This issue has fiction by Bret Tallman, Sunny Moraine, Steven Saus, Miles Hurt, Nick Tramdack, and Wendy N. Wagner. • Lois Tilton reviewed this issue in her most recent Locus Online column. 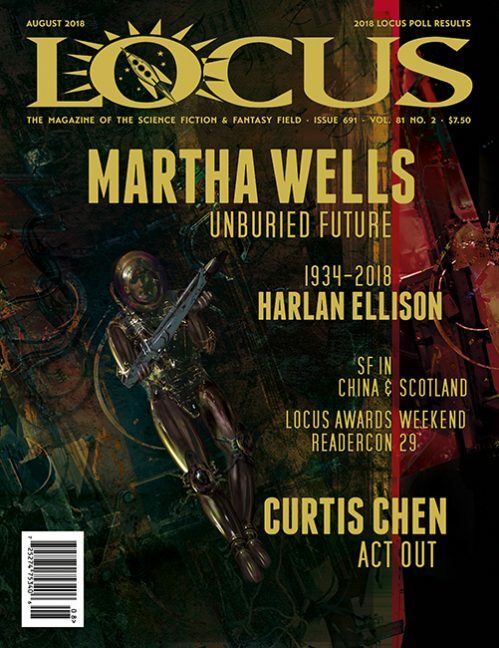 • Original stories posted this month are Grace Immaculate by Gregory Benford, and The Last Mortician by Tim Hall and Dean Haspiel. 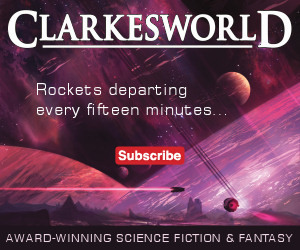 • The site’s Stories archive page also lists reprints by Michael Swanwick and James Morrow, and excerpts by Karen Traviss, Cory Doctorow, and others. 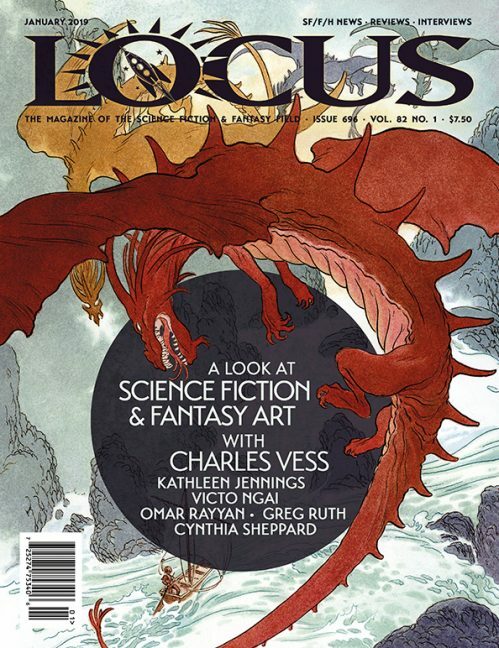 This page lists all new SF/F/H print and/or online periodicals seen by Locus Online.